GOOGLE executives, declaring themselves pleased with the results of an unusual advertising initiative last year, are bringing out a Version 2.0, again teaming with agencies and marketers to try demonstrating that technology is not incompatible with traditional Madison Avenue sales strategies like emotional storytelling. 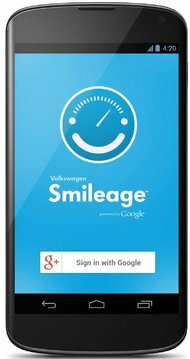 Google and Volkswagen developed Smileage, an app and Web service for drivers. The 2013 version of the initiative is to be announced on Thursday as a gaggle of Googlers gets ready for the annual South by SouthwestInteractive Conference and Festival in Austin, Tex. The initiative last year, known as Project Re:Brief, was meant to help change minds outside Silicon Valley and Silicon Alley about the role that technology in general, and Google products in particular, could play in mainstream brand marketing. The focus of Project Re:Brief — as in rethinking a creative brief — was to reimagine for contemporary consumers four classic commercials and campaigns from the “Mad Men” era, for Alka-Seltzer, Avis, Coca-Cola and Volvo. This time, the brands taking part are Adidas, Burberry andVolkswagen, with Volkswagen of America and its creative agency, Deutsch L.A., going first. Another change for 2013 is a renaming of the initiative: Art, Copy and Code, riffing on the ad industry phrase “art and copy,” evoking the two components of most ads; the organization known as the One Club for Art and Copy; and a movie, “Art and Copy,” produced by the organization. Perhaps the biggest change for Version 2.0 is to shift the time frame. The work developed last year for Project Re:Brief was based on ads from the 1960s and 1970s. The work being developed for Adidas, Burberry and Volkswagen will be based on current ads. “We had a great experience last year when we went back to the iconic campaigns, people saying, ‘Wow, you can build brands online; digital isn’t just for click-here, direct-response ads,’ ” said Jim Lecinski, vice president for United States sales and service at Google. Posted on March 6, 2013, in #marketing and tagged Ads, advertising, google, marketing, mobile marketing, mobile phones, technology. Bookmark the permalink. Leave a comment.